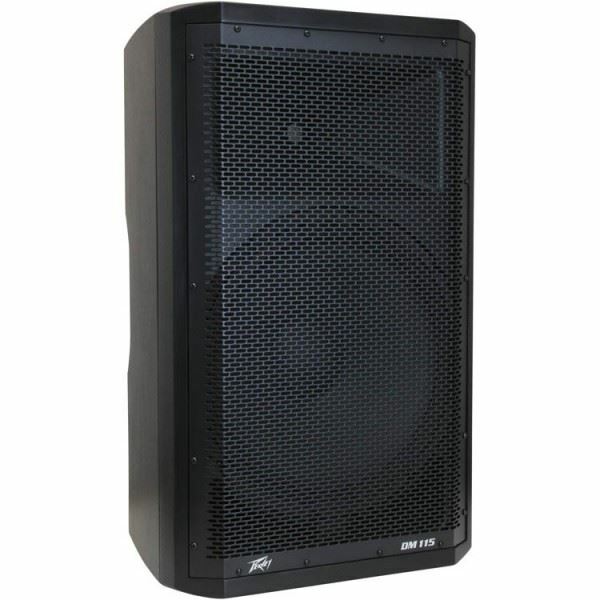 In 1975, Peavey revolutionized the working man's loudspeaker with the SP®1. Now, Peavey does it again with the Dark Matter series of enclosures. Thanks to its new advanced DSP-equipped power section, the high-S.P.L. (Sound Pressure Level) Dark Matter series outperforms any existing enclosure in its category. The Dark Matter LCD display and associated selector knob allow users to choose various parameters of operation for the DSP-based EQ. This includes bass and treble control access, as well as EQ presets for different applications or speaker positions/locations. These presets provide users with a highly flexible method of configuring the powered speaker system for a specific use with minimal time and effort. Fan cooled for maximum reliability, the DM 115 features Peavey's exclusive Quadratic Throat Waveguide™ technology that helps deliver pristine, precise sound. The ultra-reliable Dark Matter series enclosures are built tough with steel grilles and rugged injection molded cabinets. 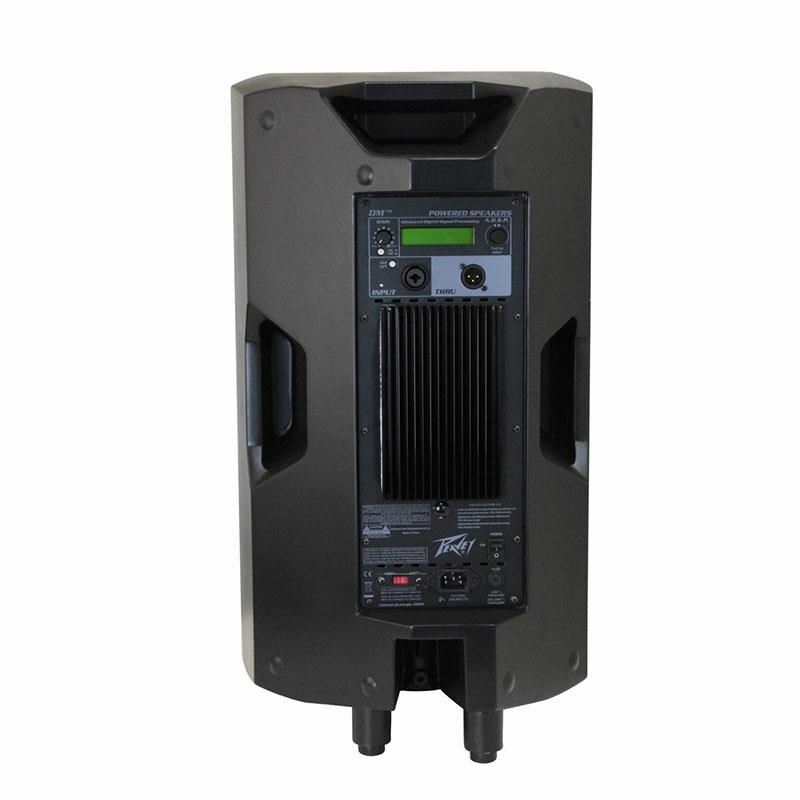 Their convenient design allows for use as floor monitors or pole-mounted speakers. Perfect for band, DJ or other musical applications, the Dark Matter enclosures produce crystal clear professional audio. Cabinet has dual rear corner angled sides for floor monitor use. Soundcraft FX16ii 16-Channel Audio MixerIn 1997 Soundcraft launched the Spirit FX16 which immediately became popular with its 16 direct outputs and built-in effects unit in wide ranging applications. 10 years later Soundcraft has given the FX16 an overhaul bringing it in line with the Soundcraft Pro..
Soundcraft GB4-16 Mixing ConsoleSoundcraft GB4-16 Mixer sets a new standard in affordable high-end mixing. It is laden with capabilities and quality features: GB30 mic preamps, reengineered circuit topology and EQ designs, rigid steel chassis, high-quality vertically mounted fiberglass PCB channel s..
Ashley SW 112A Active SubwooferA new series from ASHLEY brand, a powerful-Active 12 -inch 200 watt RMS subwoofer which is perfect for any use to boost your full range speaker. Equipped with Gain control. Phase Control, Frequency Control, Normal / Invert Selector, RCA Line in-out Low Level, and Termi..
BMB SW 115 Subwoofer 15"..
Silver Crest CK100 Amplifier Keyboard..